Ping? Pong. Ping? Pong. Ping?... Ping?... Ping?... Call for help! When senior citizens live alone, it's vital that they have a way to call for help in an emergency, which is why many senior citizens have a button they can use in an emergency to call for help. But there are times when the button is simply out of reach, or they are rendered incapable of pushing it. 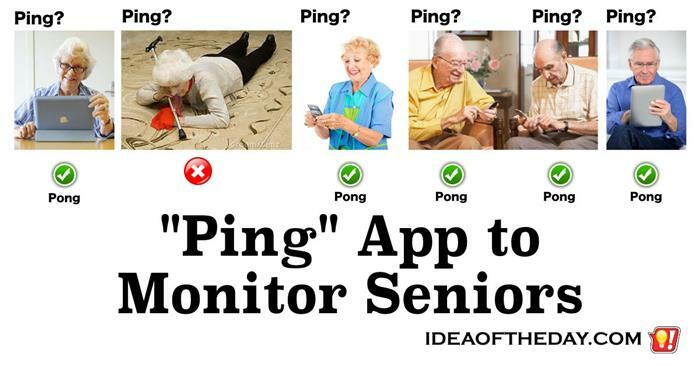 One solution is a proactive monitoring system that, at a minimum simply "Pings" senior citizens, with a simple alert giving them a chance to let the system know they are doing okay. If they don't answer after several attempts, a family member gets an alert letting them know there may be a problem, so they can check in, and even turn on the camera and mic to make sure they are okay.